The Bible is as outdated as God is. If we believe God is an ancient superstition—the creation of primitive, unenlightened people—we can write off the Bible as a collection of myths and religious nonsense. If, on the other hand, we believe God is a living being—and one to be reckoned with—we cannot dismiss the Bible as a relic from another time. The apostle Paul explained why: “Everything in the Scriptures is God’s Word. All of it is useful for teaching and helping people and for correcting them and showing them how to live” (2 Timothy 3:16). The Bible is God’s instruction to us. It contains everything he wants us to know about him, his work, and his plans for us. It is as active and viable today as he is. If we claim to follow him, we need to know his Word. But getting to know it takes time and effort. For best results, remember these four Ps. Studying God’s Word is the key to growing as a Christian. As followers of Christ, we’re all connected. We rely on one another. We work together as one unit to follow God’s instruction. The Bible calls this unit of Christians the “body” of Christ. If one of us doesn’t grow, we handicap the entire body. We can’t simply open the Bible to a random page and expect to understand its meaning. A better strategy is to approach Scripture with a specific aim in mind. For example, we may choose to read the book of Genesis to get a sense of how things got started. 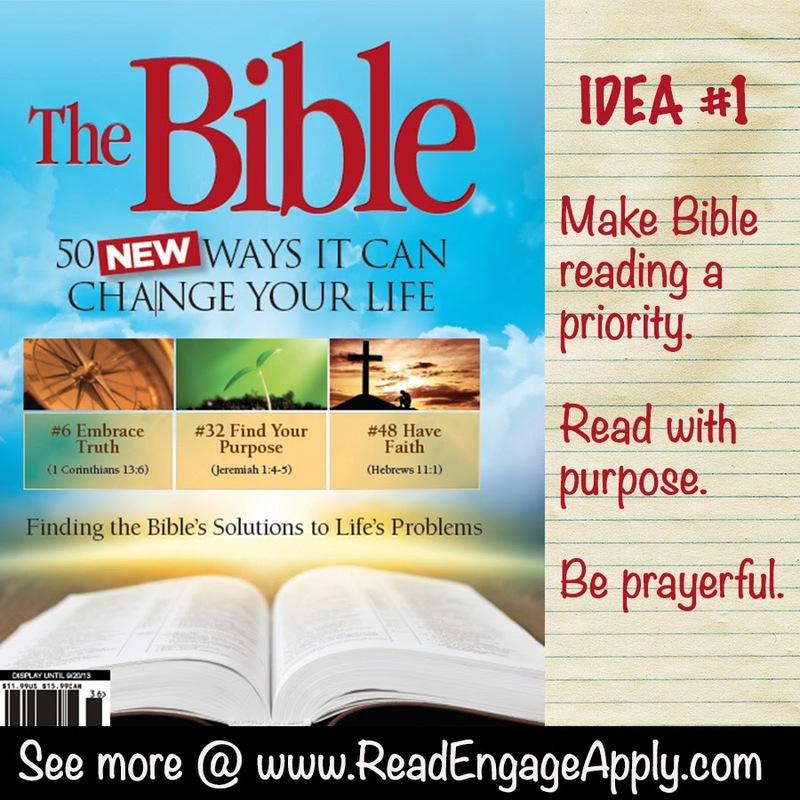 Or we may choose to read Matthew, Mark, Luke, and John to familiarize ourselves with Jesus’ life. Before we open the Bible, we should ask God for three things: a clear head, so we can block out distractions; an open heart, so we can be receptive to his words; insight, so we can understand truths far beyond the limits of our IQs. With so many things constantly vying for our attention, there’s a good chance that whatever we learn from the Bible today will be a distant memory by the time tomorrow rolls around. That’s why it’s vital to keep a written record—a journal—of our Bible investigations. 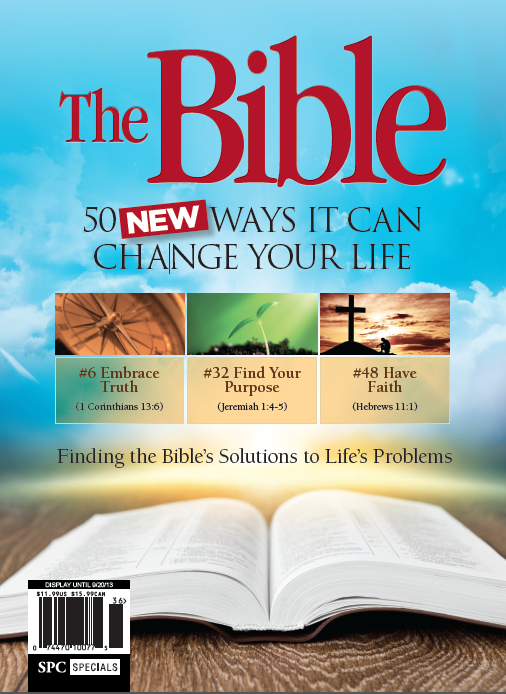 This article is reprinted from The Bible: 50 New Ways it can Change Your Life and used by permission. This special edition magazine is on sale during the winter and spring of 2014 at grocery stores, gas stations, check out aisles within the United States.